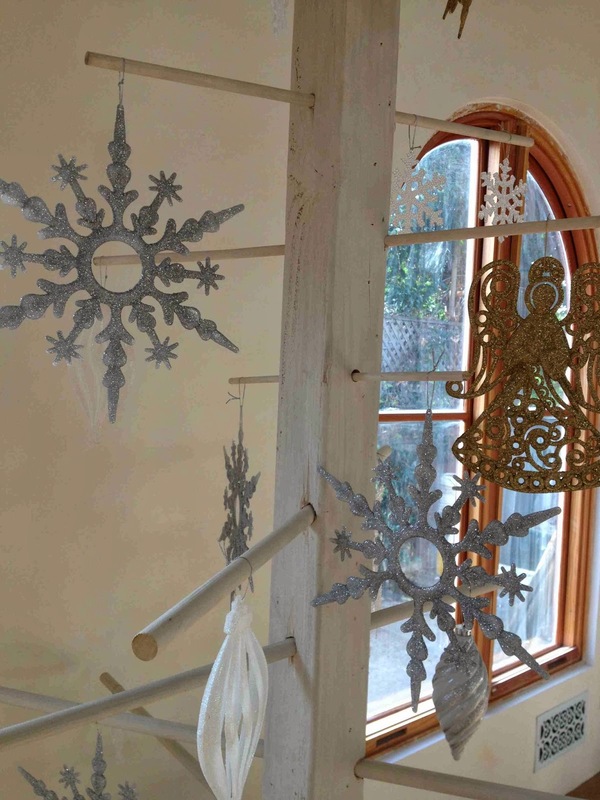 We've been so used to building things that we got a little crazy with our Christmas tree this year. Why not build one? 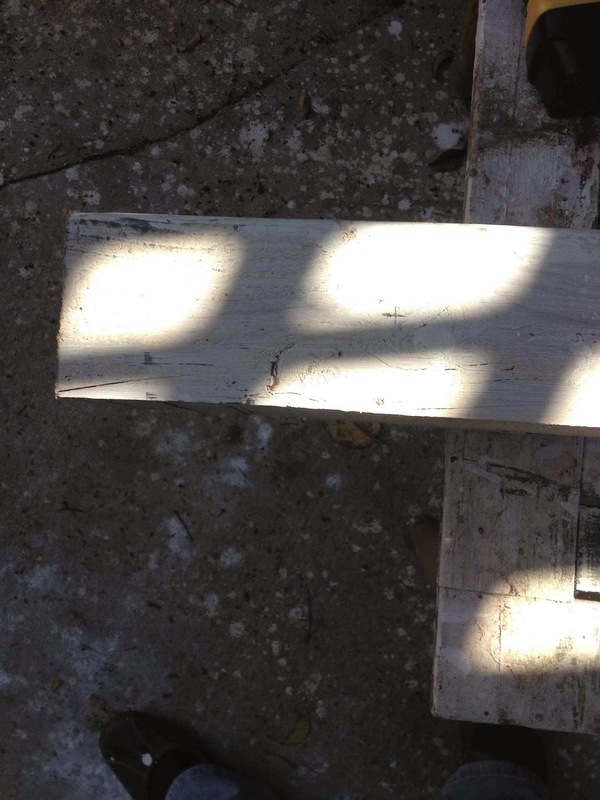 Plus, we had a lot of scrap wood and paint around. Voila! 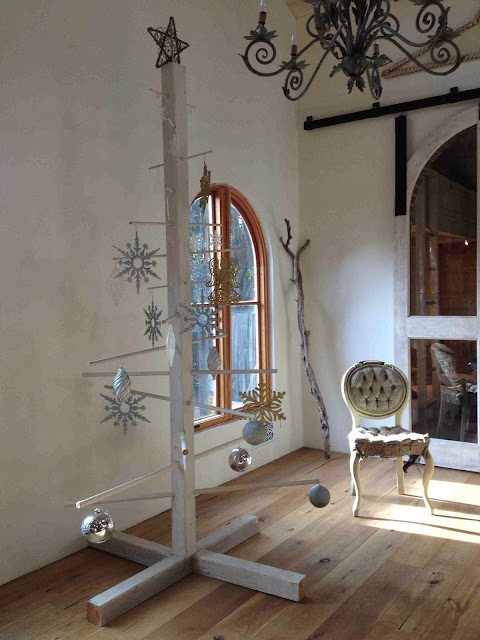 Our Bohemian Christmas tree was born and will be helping us to celebrate the holidays in our New House. Pretty easy to build and all of the components come apart for easy storage. Started with an 8 foot 4 x 4. Happened to have a few of those laying around the driveway! Then, we white-washed it with the leftover Benjamin Moore Linen White. 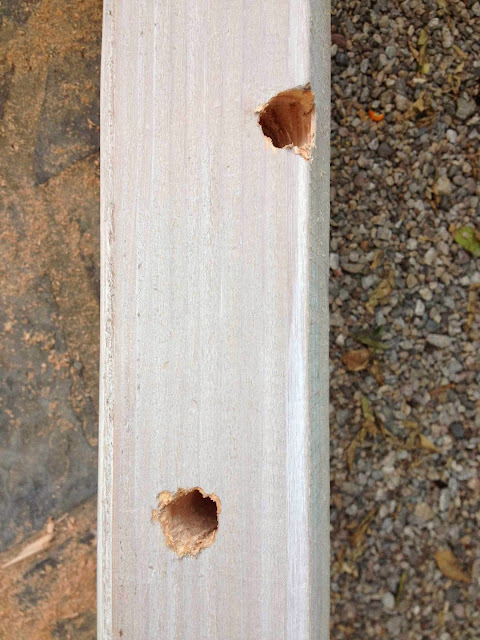 Starting 6 inches from the top of the 4 x 4, we started drilling holes at widths to match our wood dowels, which comprise the limbs of our tree. There are 14 of these holes drilled at every 45 degree angle, so that if you were looking down on this tree from the top, the formation would be a star. This is where most of the labor for this tree was spent. Drilling holes. 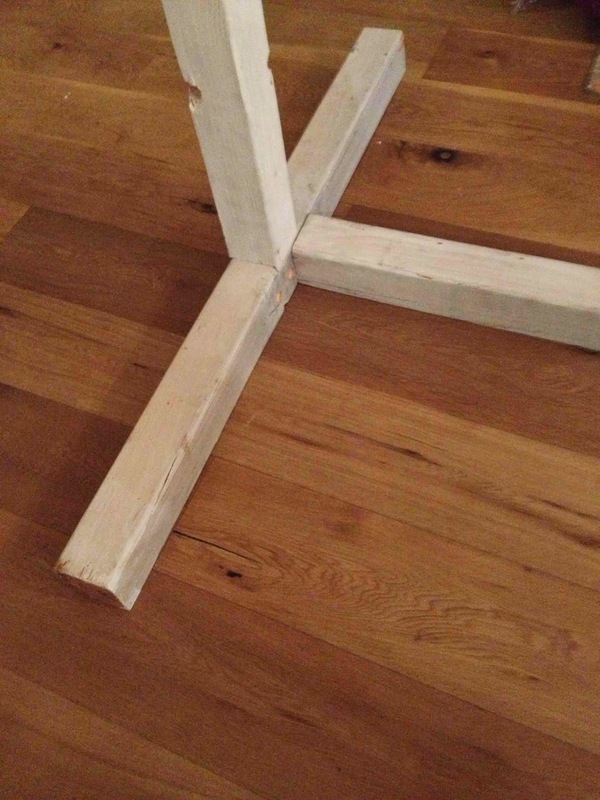 The base is composed of four 2-foot pieces of 4 x 4. This picture shows the step before last, so the final has 4 legs. All screwed in with several very long screws. This tree is pretty heavy so you don't want it tipping over. 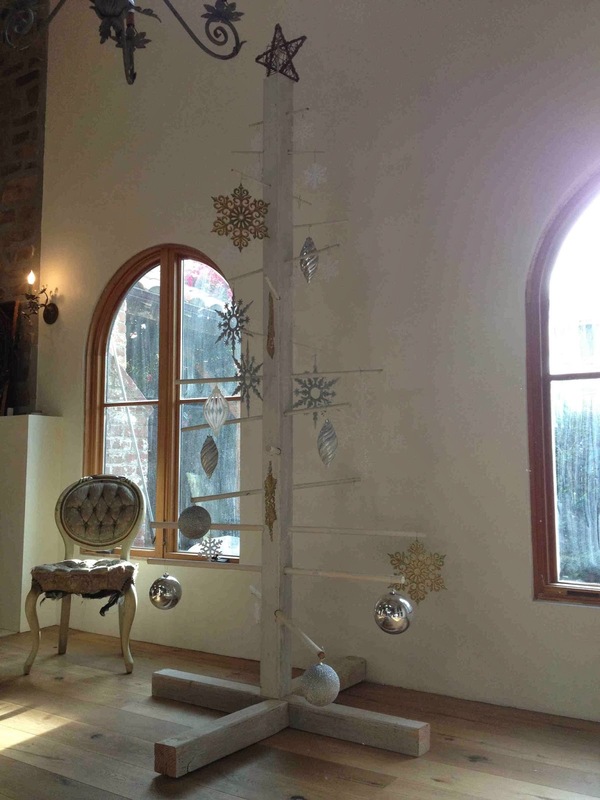 We selected some wood dowels at home depot at varying diameters to give the effect of a real "tree," which has thicker limbs at the bottom, smaller, more narrow at the top. While other customers were walking out with traditional trees, our kids were hand-selecting dowels. At first, the idea of an abstract Christmas tree did not go over well with Zjena. But, when considered as a giant craft project, she got on board enthusiastically. 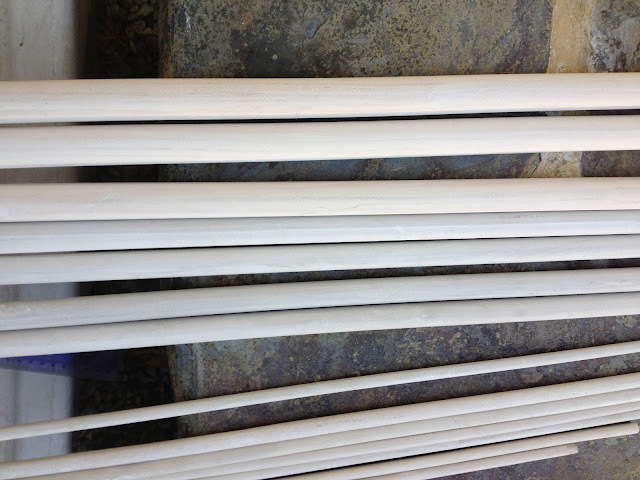 Later, she and her friend white-washed the dowels to match our "trunk." When the tree was standing upright, we started to add the "limbs." 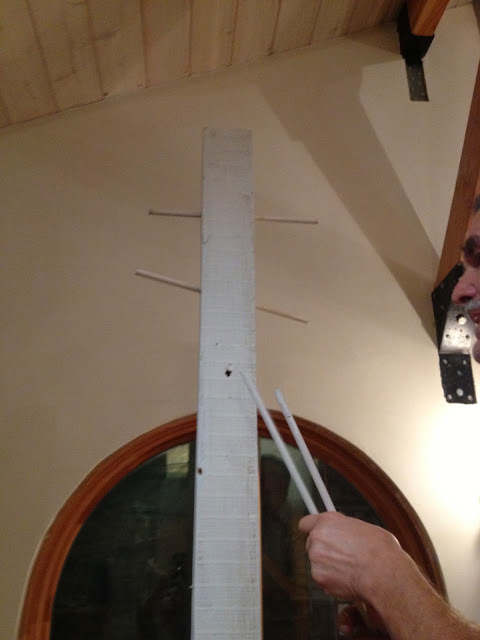 Did I mention before we ever considered attempting this, we crafted a smaller model using a paper towel dispenser and a bunch of chopsticks right after Thanksgiving dinner? Crazy? I know. But, it was the long holiday weekend and we had some time on our hands. Here we go. Decorating the tree with dollar store ornaments (this must be the most inexpensive tree ever!) in silver, white and gold. Our little helper was very busy. Not bad for Dollar Store. We may add white lights tonight. Not sure though. Found your blog via a Houzz comment---love what you are doing with your house. 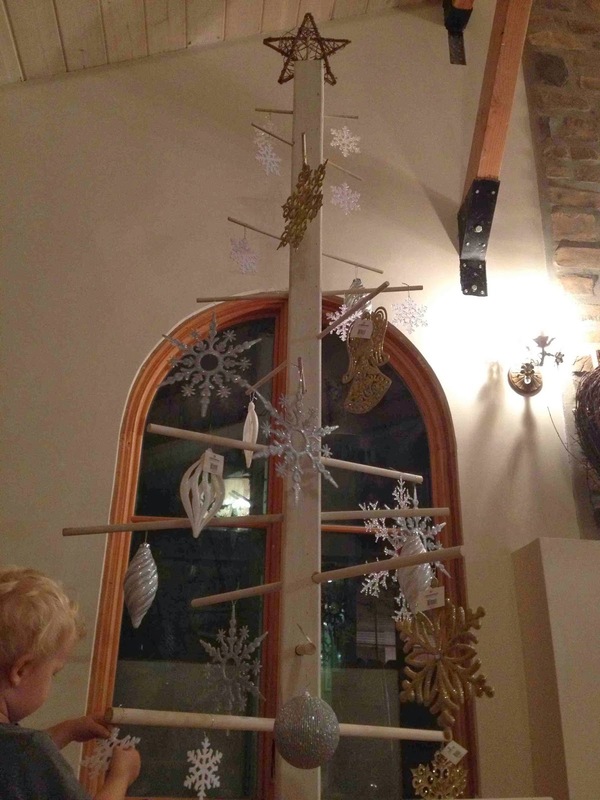 Your tree is clever and cute but I'd be afraid of poking an eye with those dowels. Maybe put a little white pom-pom at the end of each one as a bit of protection while still looking like decor? !